2 Masters w/Queen, 2 w/2 Twins. Sheets & Towels Provided. 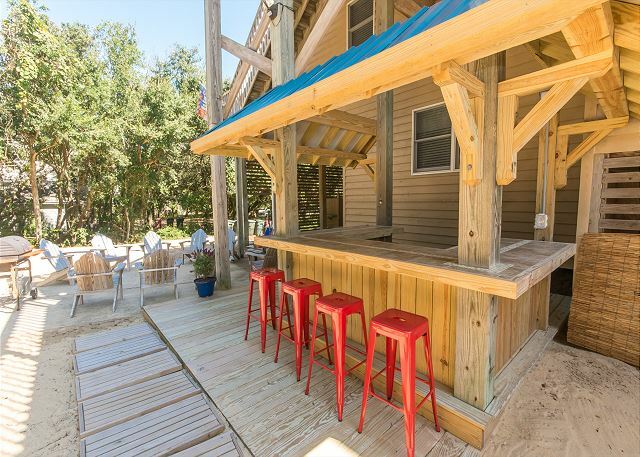 "It's A Shore Thing" is the perfect vacation retreat on North Carolina's Outer Banks. 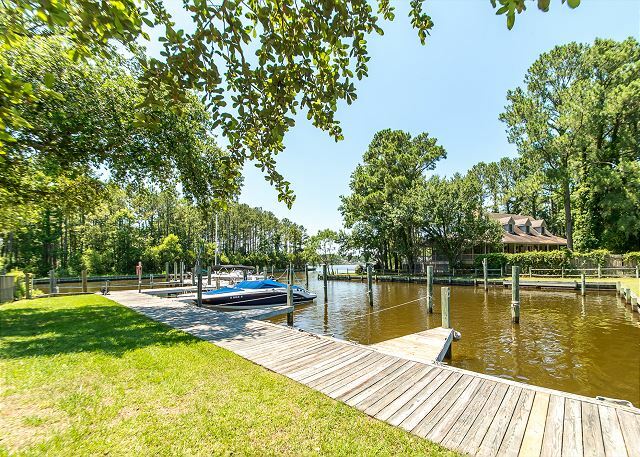 Southern Shores is a peaceful residential community, located just a few miles south of the shops and restaurants in Duck, NC. This 4 bedroom, 3 1/2 bath home is within walking distance to the crystal blue waters of the Atlantic and miles of wide sandy beaches. 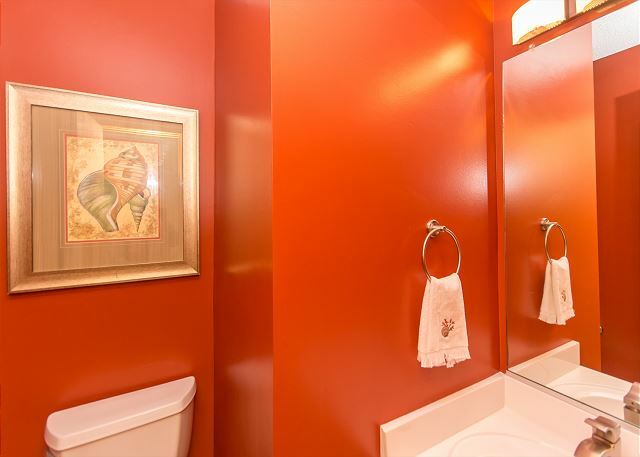 The Master Bathroom has been completely remodeled for 2019! 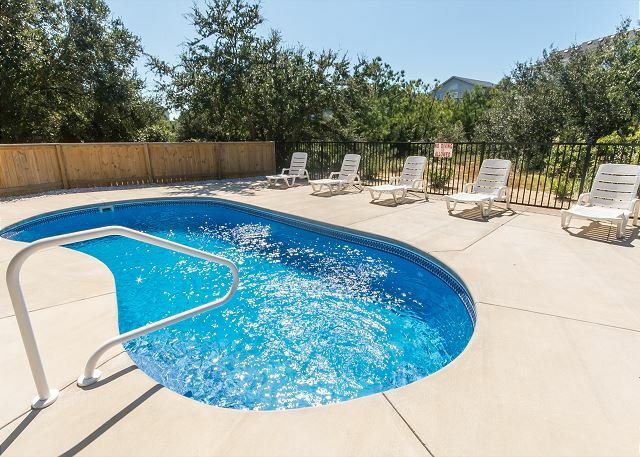 Not feeling like spending the day at the beach, walk out the back door and take a dip in your 14x30 private pool or sit around the outdoor bar! 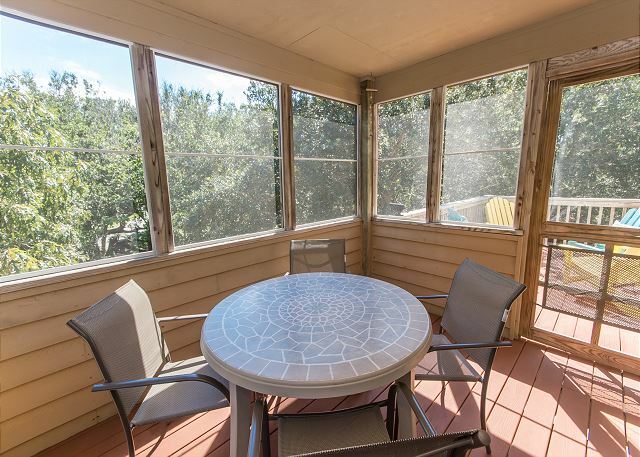 This spacious home features 2000 square feet of living space, a screened in porch, multilevel decks, an outdoor bar and many other spectacular amenities. It's A Shore Thing will quickly become your home away from home. Perfect for two families! Lower Level: Master Bedroom w/Queen/Tub & Shower. Mid-Level: 2 Bedrooms w/2 Twins, Hall Bath w/Tub & Shower. Upper Level: Master Bedroom w/Queen/Jacuzzi & Shower/Private Deck, Living Room, Wet Bar, Kitchen, Dining Area, Half Bath. We had a great time at It's A Shore Thing. Great house, outside area, and location. This was the best house we have rented in OBX. We have been coming for a few years now and this house was the best. Great space, tons of outside seating, the pool was awesome and we just had a blast. A little walk to the beach but nothing unbearable. I honestly cannot say enough good things about this property. 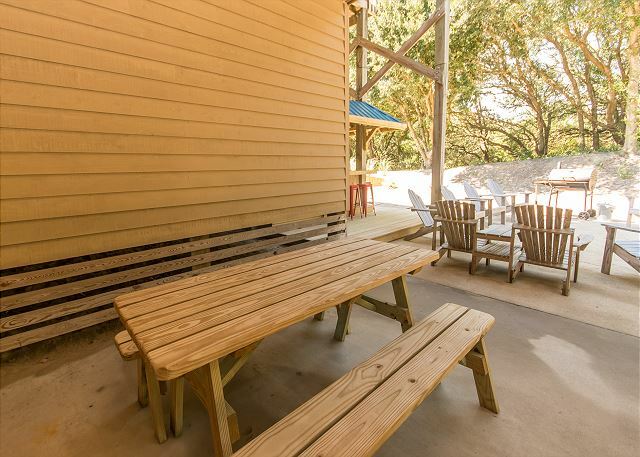 The location is in a wooded neighborhood which provides a nice quiet setting while being just being a short walk to the beach. The home was clean and well maintained. The rental company was also great and quick to answer any questions we had. I would highly recommend this property and hope to book another week for next year very soon. We are incredibly grateful that you took the time to review "It's A Shore Thing." We are glad you and your family enjoyed your stay on the Outer Banks. We strive to deliver a great guest experience, and hope that you will continue to vacation with us for many years to come. It is hard to beat this house's location. A very short distance from the "turn", but not too close to see or hear the highway, and in the middle part of the island. A short walk to the beach, a very short drive to a grocery store and a bunch of restaurants, and the great thing is, one can do it in either direction, North or South. We were considering a different house for 2018, but ended up coming back - and loved every moment of it, again! The pool is secluded and wonderful, just the right size. The owners are pet lovers themselves, and even provided two crates for the dogs! The property is well-maintained, clean and very comfortable. It is a house that is loved. Will certainly be returning, hopefully for a years to come. Thank you for taking the time and leaving us such a wonderful review. We are glad that you and your family loved It's A Shore Thing, and the owner will be pleased to learn of your high praise. Bringing your dogs gives a new meaning to family vacationing. We look forward to welcoming you back for many years to come.